UPDATED: Tue., Oct. 31, 2017, 3:47 p.m.
Washington State men’s basketball coach Ernie Kent. 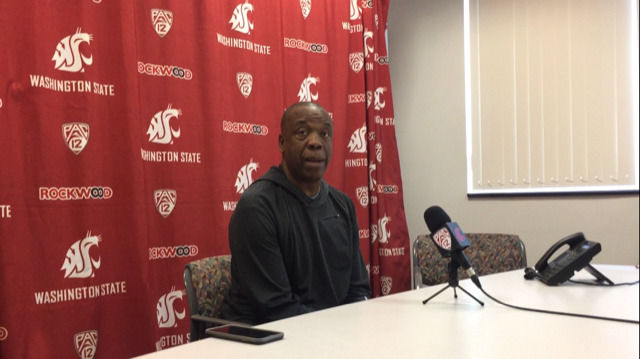 Washington State men’s basketball coach Ernie Kent talks about preparing to start the season, his point guard dilemma and the team’s health entering Sunday’s exhibition opener. Published: Oct. 31, 2017, 2:01 p.m. Updated: Oct. 31, 2017, 3:47 p.m.